Twelve-year-old me asked to learn the rosary. I’m glad I did. I learned how to pray the rosary—the Roman Catholic version—the summer I was 12, at my great-grandmother’s house. That is a discipline that has shaped my life profoundly over the last 26 years. I don’t always pray the rosary using the same pattern of prayers I learned as a child. Sometimes I use my Anglican rosary, or the one Nanny gave me, or just my fingers. There’s no magic in it—but there is mystery, and saying the words of beloved prayers when I feel less-than-awesome soothes my soul. I’ve been thinking a lot about my great-grandparents lately. I knew six of them. The older I grow, the more I see bits of their personalities in my family members and in myself—and some of those things are funny, some are super endearing, and some are just… well, you know, you have family. Nanny, my paternal grandmother’s mother, was a force of nature unto herself. Her favorite restaurant in the world was Galatoire’s, in New Orleans. She was particularly fond anything that came out of that kitchen having to do with shrimp. Nanny was, as they say in the South, a colorful woman. And, to borrow a phrase from The Christmas Story, her true artistic medium was swearwords. She used them like a true master whenever she felt she needed to do so. My dad and uncles said that once the door to her bedroom was closed at night, you knew she was either listening to a ballgame (usually baseball, usually the Braves), praying her rosary, or both. In any event, the lady was not to be disturbed unless the house was on fire or someone was actively dying. As a little kid, I always wondered what would happen if I did knock on her door, but would never have actually tried it. You and I both know that some pieces of family folklore are there to be entirely believed without actual verification of the information offered. It was a weird, quirky thing for a twelve year old to do—to ask her great-grandmother to show her how to use a rosary. I think she was as surprised as my parents were about the request. But, Nanny gave me a rosary that she had used—not her favorite, because seriously you guys—and a little pocket-sized pamphlet she’s gotten from her priest with the prayers and liturgy carefully printed. And I holed myself up in her back room and memorized the whole thing. My church nerdiness runs deep, my friends. Real deep. I loved learning these prayers, loved running the beads through my hands, keeping count, all of it. The mechanism was fascinating to my adolescent brain. As I’ve grown older, the rules of how to pray the rosary mean less and less to me, but the framework and the discipline keep me coming back, keep me centered, give me a place to rest my restlessness, and take a deep breath. The prayers I pray up and down my Nanny’s beads have shifted back and forth since I first learned the Roman Catholic version, but the intention is the same—to talk to God, to quiet my mind, to hear what God is saying to me. I am not super-great at setting aside time to pray through the whole set of beads, but I pray the prayers throughout my day. The Jesus Prayer is the first prayer I pray in the mornings, and the last prayer I pray at night. I share the Lord’s Prayer with my coworkers during our morning prayer time. The Hail Mary comes to my mind throughout the day, and is especially soothing to me when I am upset or praying for one of my people. I like that these prayers always feel accessible to me—always seem to be running on some subliminal loop inside my heart. I find myself picking up the middle of a prayer or beginning to pray inside my head when things feel stuck or prickly during the course of my day. And I always—always—feel better, more grounded, like I can take a breath when I remember those prayers. Paul talks to the community of Jesus-people in Thessaloniki about the disciplines of praying without ceasing and not quenching the Spirit. For me, this has meant leaning deeply into the wisdom and ritual of meditative prayer—like the kind you do when you use the rosary or focus your prayer time around one particular prayer. The prayers we say over and over work their way into our hearts and minds—they rest inside of us. I think they are activated and do amazing work inside of us—like yeast in dough—helping us to rise and give nourishment to those around us. My curiosity about prayer—and I was curious about the beads and the order and the set-apartness that the rosary represented to me as a child—was encouraged by my parents and my Nanny, to explore and see what worked for me. Prayer was not something I just started learning about as a 12 year old—Momma and Daddy had done a lot of heavy lifting on teaching me about and modeling all kinds of prayer since the day I was born. Growing into another way to pray was something I was primed to do. And as my relationship with God has grown—has given me purpose and joy—those habits of prayer and meditation have drawn me closer to the feet of Jesus, which is exactly where I want to be all the time. 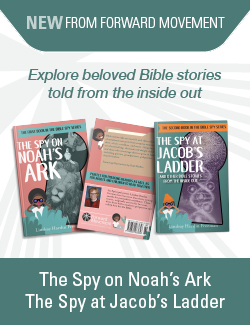 If you have your own budding church nerd, encourage her to find ways to explore that curiosity. If you’re unsure how to pray with your babies, start small and keep things brief—Forward Movement has a pamphlet called “Teaching Children to Pray” that you might find helpful, as well. Learning how to pray and praying with those we love are among the most important things we can do with our families. I’ll be thinking about you and praying along with you as we continue journey together. Have you ever prayed the rosary? What gift has it offered you, if so? When my mother passed away in suddenly in January, I was traveling and had just about none of my possessions. I did have a holding cross in my overnight bag though and this went into my mother’s hands for her cremation. In return, I took her Anglican rosary and had it in my hands when reading the 23rd Psalm during her Requiem Mass. I do not pray the rosary – although now I might – but just holding it brought tremendous comfort. A super church nerd, I am a huge fan of Mother Mary and wear her Miraculous Medal. Thanks for getting inside my head this morning and roaming around. Amen. Great post. Thank you. Our ancestors have much to teach us. I have my great-grandmother’s Book of Common Prayer (who I never had the pleasure of seeing face to face)…and I can see where she scrawled out “to obey” her husband in the old wedding vows. I like her! I do pray the Catholic Rosary and the Anglican rosary. This morning I was reading St. Paul’s admonishing us to pray without ceasing. I find that when I do my rosary it calms and quiets me. Thanks for your article. It was just what I needed to read. Thank you for a beautiful essay. Just reading it brought peace to my heart. 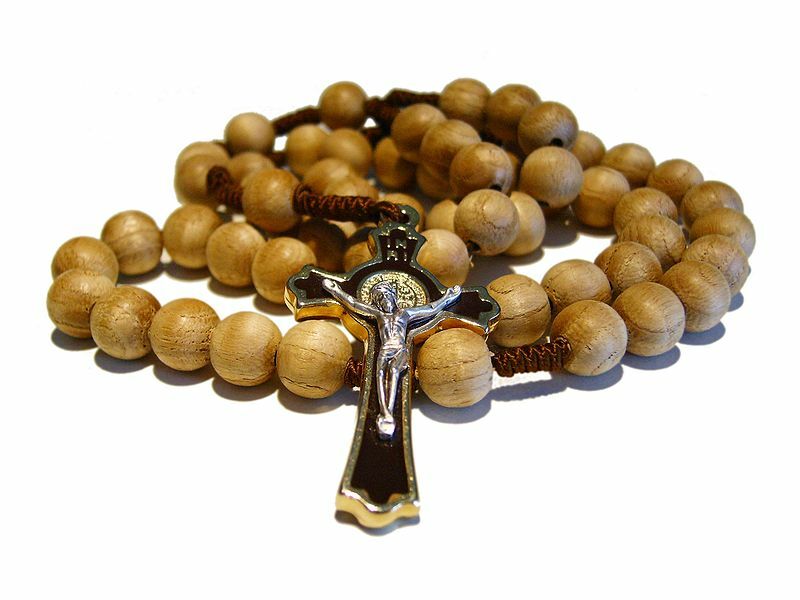 I too love the catholic rosary. At my ordination to the priesthood in December, my mother made sure I received items that had belonged to my priest grandfather, including his rosary. Clearly, it’s time I learned the rosary for real. Shout out to Forward Movement for the St. Augustine’s Prayer Book, where I turned for the details. i learned to pray the Roman rosary perhaps 30 years ago, well into adulthood. Later I learned to make the Anglican rosary, and even traveled the Diocese of Louisiana teaching about the rosary. Occasionally I still get a request for a rosary, and it gives me great pleasure to make one. I often go to sleep with one in my hand. I, too, move between my old Roman rosaries and my Anglican ones. Nothing calms me, centers me, brings me more peace than having one in my hand and slipping into that framework of prayer. It’s a good thing. From one church nerd to another, I love this piece! Even though we know it’s not about rules or props, these ancient words and relics bring such meaning to our prayer lives. I love that your grandmother was part of your introduction to the Rosary. Your descriptions were spot on – they center us, righting our focus.